Comanche has closed on race leader Rambler, also from the US, and resumed the lead in the race for line honours. Comanche was in deep trouble off the NSW south coast after midnight, when it appeared she would have to withdraw completely after, as skipper Ken Read put it, she “probably hit something”. That “something” all but wiped out a rudder and daggerboard on one side of the boat (she has a rudder and daggerboard on each side). 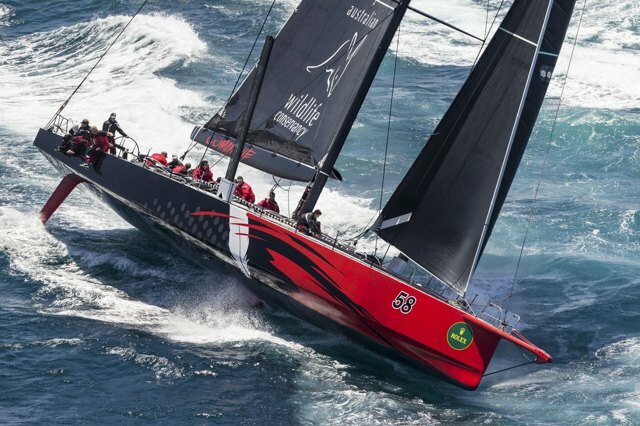 While Comanche is back in the lead, just two nautical miles separates the two boats, and the southerly buster, which has taken out more than 20 per cent of the fleet, is expected to abate over the next 48 hours. On paper, the much lighter conditions expected in the bottom half of Bass Strait and along the Tasmanian coast later this afternoon and tonight favour the less beamy Rambler. So a fascinating duel could develop off Tasmania tonight. At 1330, there had been 23 retirements. They include another international casualty, Haspa Hamburg and her eager young German crew.